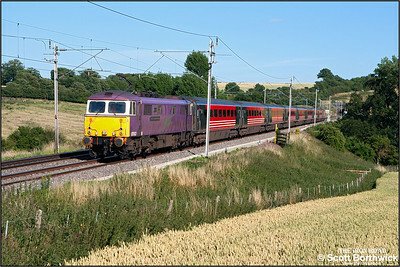 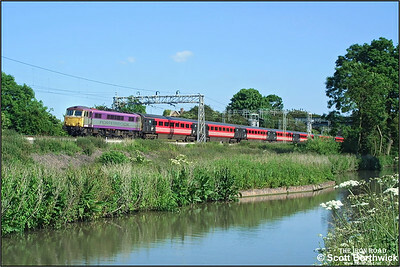 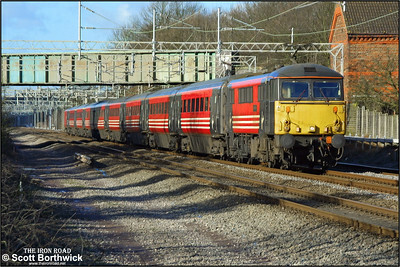 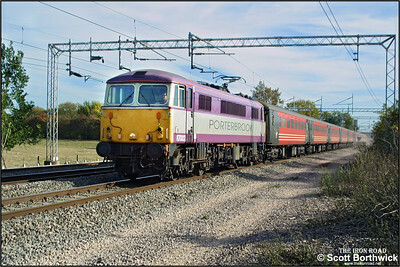 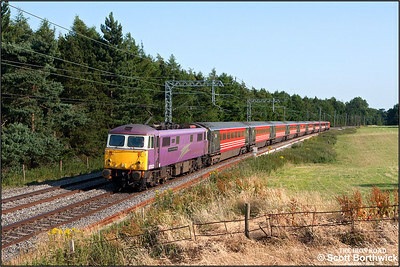 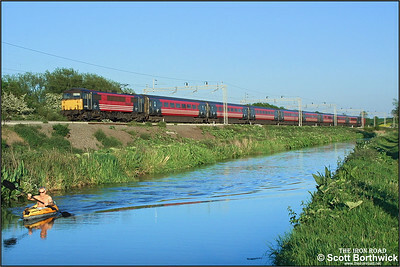 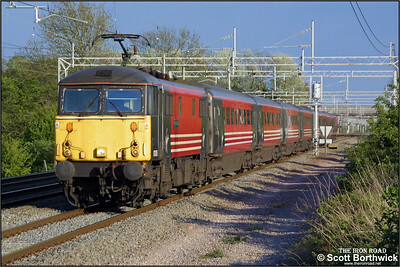 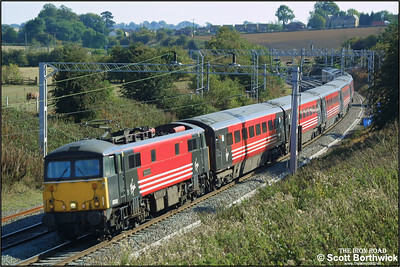 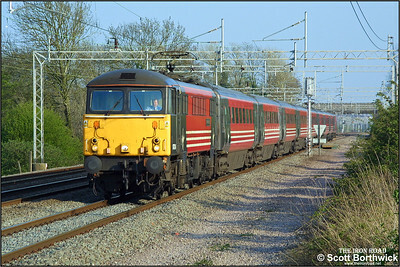 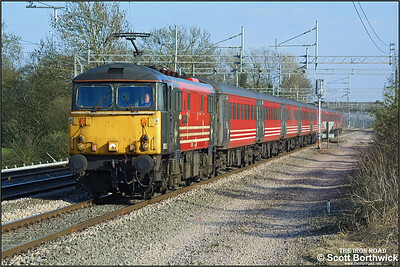 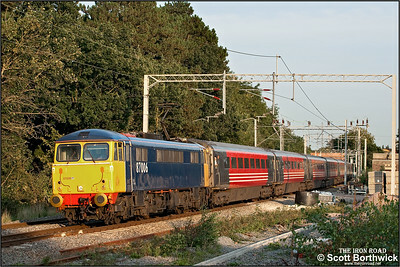 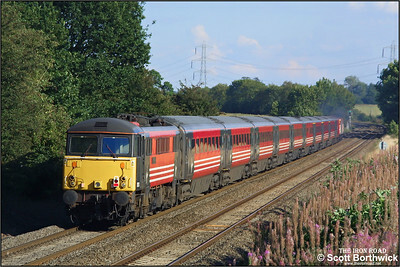 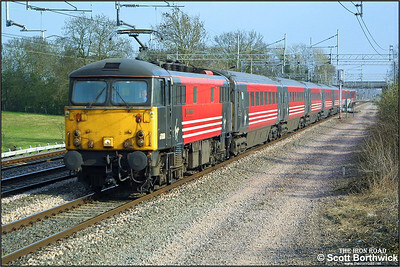 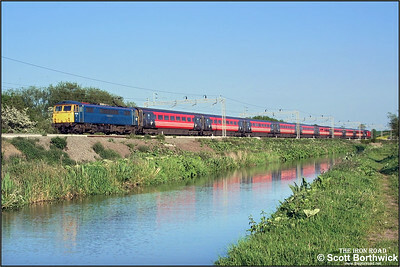 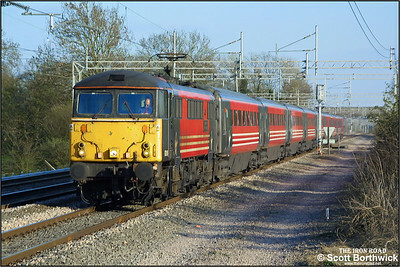 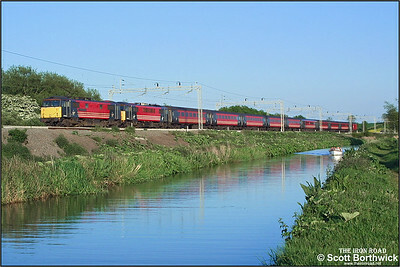 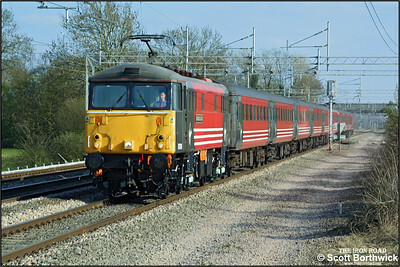 This gallery illustrates Class 87 locomotives working services operated by Virgin Trains. 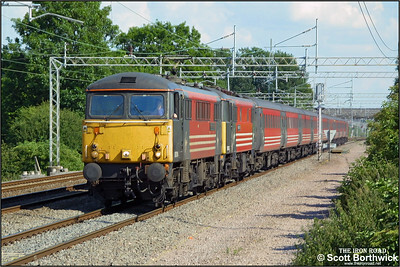 87002 'The AC Locomotive Group' has just emerged from Stowe Hill tunnel as it races north at Weedon Bec with 1G21 1652 London Euston-Birmingham New Street on 11/07/2006. 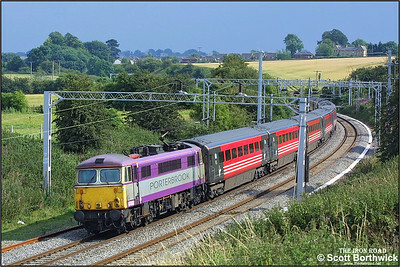 87002 'The AC Locomotive Group' passes Brockhall, Northants with 1G21 1652 London Euston-Birmingham New Street on 12/07/2006. 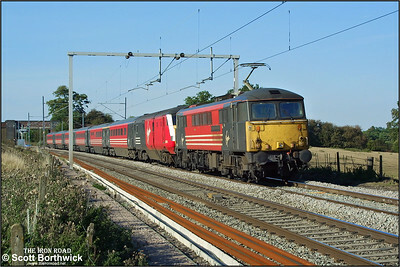 As the sun sets and shadows lengthen, 87006 approaches Berkswell whilst working 1G21 1652 London Euston-Birmingham New Street on 15/09/2006. 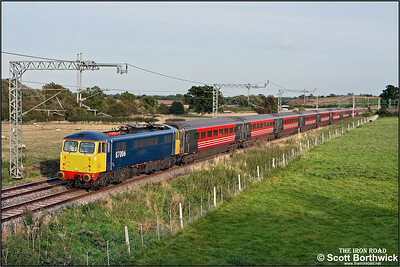 87006 passes Gayton whilst working 1G21 1652 London Euston-Birmingham New Street on 19/09/2006.